There is nothing like tropical colonial architecture to inspire the feeling of being in an exotic seaside locale, yet with all the luxuries of home. Southeast Asia has historically fallen under the influence of a variety of colonial powers. Here are four locations you can view the best of European colonialists’ architectural legacy in Southeast Asia. European settlers in strange lands, battling a different climate and new resources to build with, yet still aiming to recreate the traditional architecture of their homeland. They melded practical elements of the native Southeast Asian buildings with their ideas of classical architecture, to create an exotic hybrid. Through these buildings, colonialists aimed to represent the grandeur of their European roots while creating comfort in the hot, humid conditions. Many factors including independence, invasions, local attitudes and varying amounts of maintenance have determined the level to which original colonial buildings have survived or thrived since their heyday. Once the seat of royal power in Laos, Luang Prabang is located at the confluence of the Mekong River and its tributary Nam Knane in the mountainous north of the country. 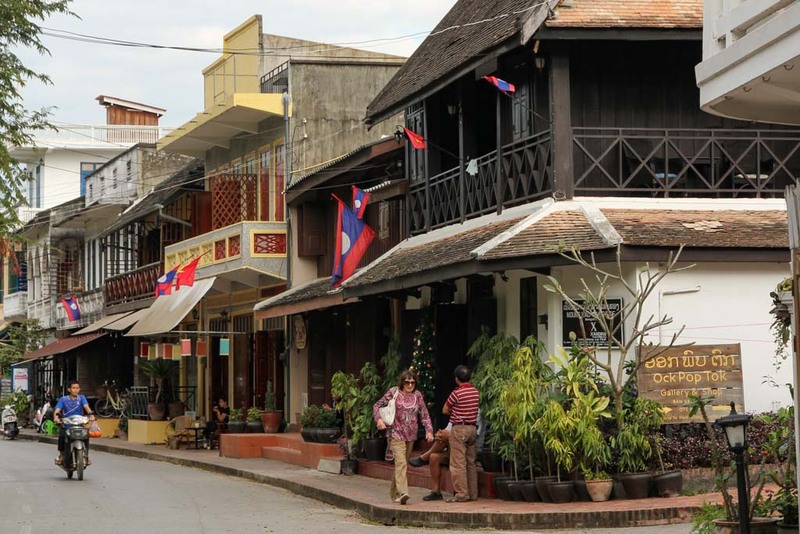 Over the centuries, Luang Prabang was bombarded with attacks from its neighbours. It was the 1887 ransack and pillage by remnants of the Black Flag Army, a Chinese bandit group, which spurred the Luang Prabang kingdom to accept protection from the French. 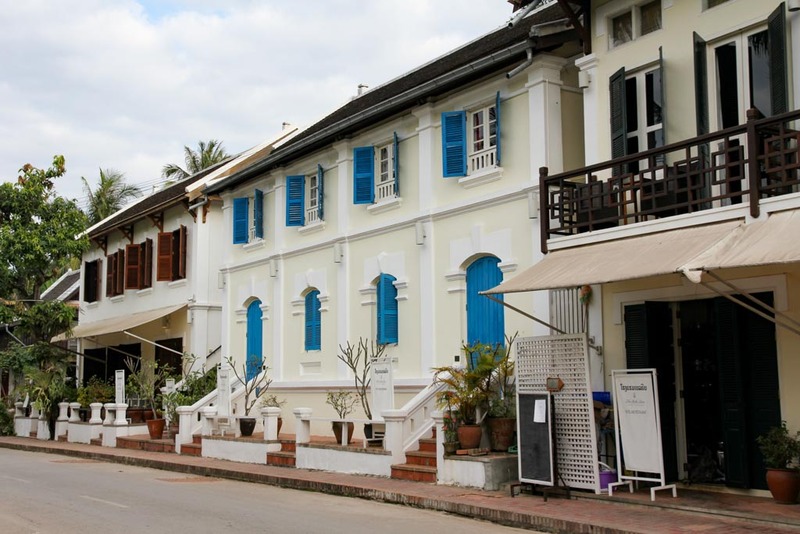 A commissariat was set up in the town, and the French brought in Vietnamese labourers to construct the colonial villas and offices which remain part of the Luang Prabang streetscape today. After a lazy two-day cruise down the Mekong from Thailand, Luang Prabang won my heart right away with its lime covered, white colonial villas intermingled with native wooden structures. The laidback pace, decent coffee, availability of quality hill tribe handicrafts and beautiful surrounding natural landmarks only endeared it to me more. 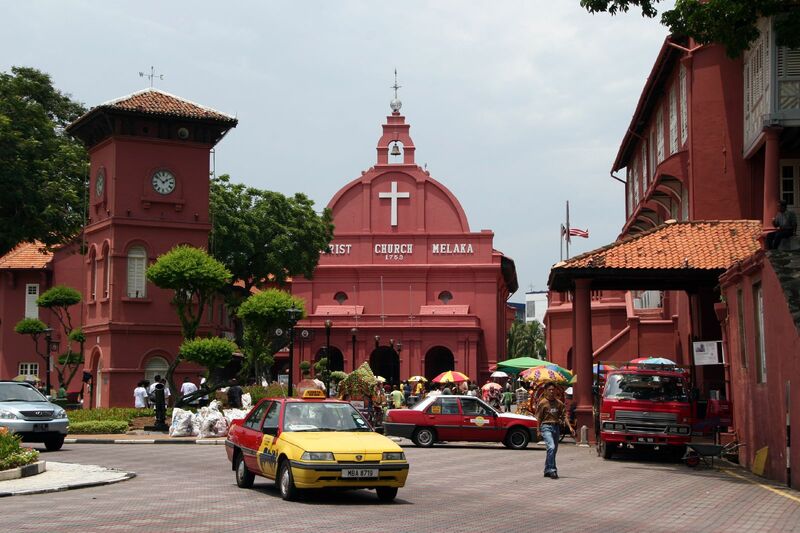 Melaka began as a fishing village which during the 14th century evolved into a port city to service the spice trade. The Portuguese were the first Europeans to seize control of the town in 1511, building a fort, churches, college and hospitals among other public buildings. The Portuguese control ended in 1641 with the Dutch invasion. Initially, they simply repurposed the existing buildings, but with time they began to build a new fortress and their own churches. The Napoleonic wars in Europe pre-occupied the Dutch, leaving Melaka to fall to their last European possessors, the British. In 2008 Melaka was designated a UNESCO World Heritage Site for its cultural and historical importance, that lives on through its remarkable examples of architecture and townscape that attest to its multicultural, trade-driven past. Good examples of Dutch colonial architecture in Melaka can be found along the Dutch Heritage Trail including Christ Church (built 1753) and its neighbour Stadthuys, once a town hall, now the Museum of History and Ethnography. The remnants of the Portuguese survive in the ruins of A Famosa Fortress (1512) and St Paul’s Church (1590). It is unlikely Manila is high on your bucket list and for good reason. 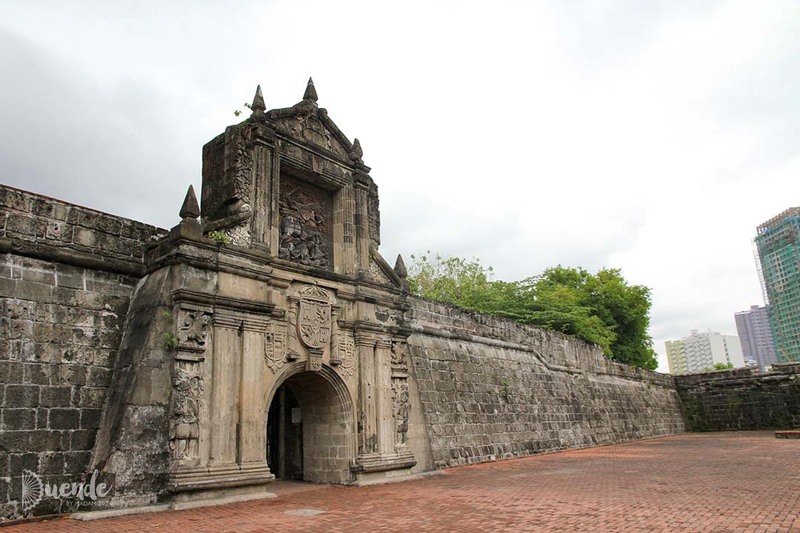 However, if you happen to be stopping through on your way to somewhere more fabulous such as Boracay or Cebu you might like to spend an afternoon at Intramuros. The walled city began as a wooden fort constructed by the natives living on the Pasig River. In 1571 Spanish conquistadors seized the settlement, which continued to be the capital of the Spanish East Indies for over 300 years. Enemy attacks prompted the Spanish to construct stone walls around the 64-hectare compound. 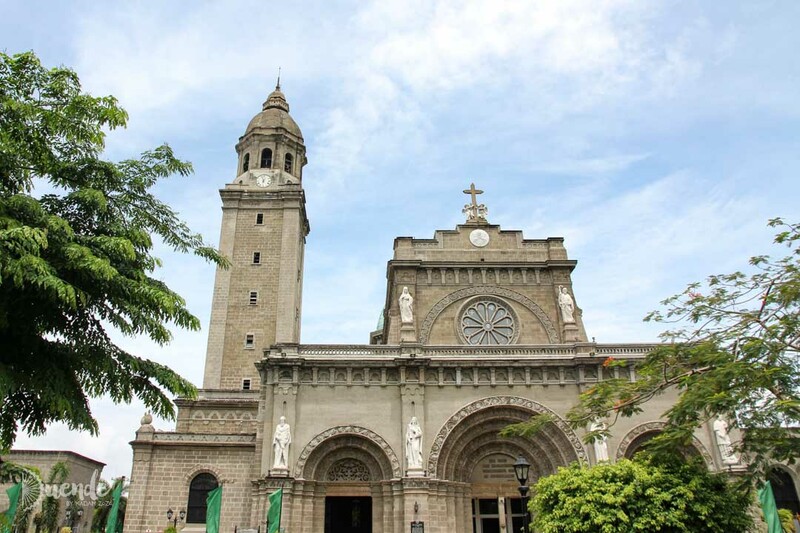 Within Intramuros residences, churches, palaces, schools and government buildings sprung up. Sadly most of Intramuros was flattened or charred by the Japanese invasion during WWII, leaving only the San Agustin cathedral standing in a somewhat original state. So what is left to see? In 1979 the Philippines government created the Intramuros Administration to oversee efforts to revive, restore and develop Intramuros in a style true to the colonial Spanish architecture of the era it was created. 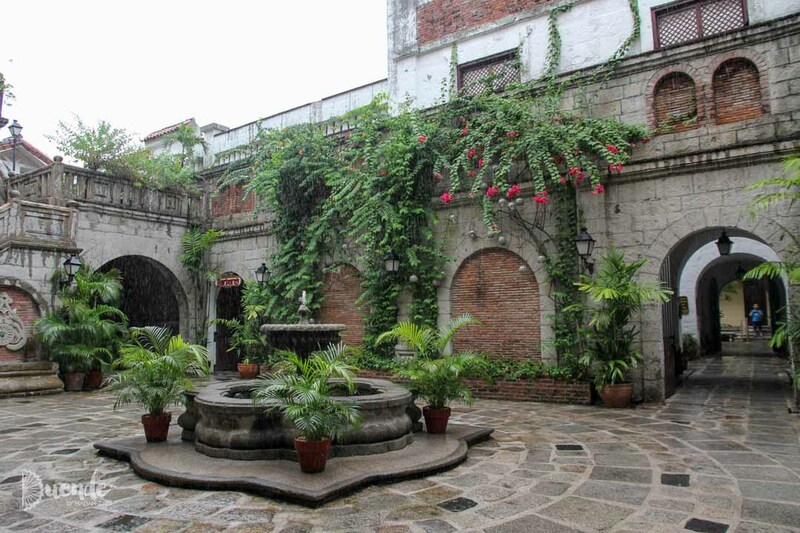 Places of interest include Fort Santiago, San Agustin Church, and Casa Manila—the recreation of an opulent colonial Spanish mansion, furnished with appropriately dated antiques. If you are wanting to burn off the delicious Lechon (suckling pig and Filipino national dish) you had for dinner, this is an ideal opportunity to explore on foot. Pick up a map at Casa Manila and discover the Intramuros on your own or take part in an organised walking tour. The British, who settled Singapore in 1819, were quick to adapt to the local conditions. British colonialists borrowed local housing elements such wide verandas and large shuttered windows, to make their traditional European-style buildings more comfortable in the equatorial climate. Singapore has excelled in preserving its British colonial architecture. A number of fine specimens on the countries original coastline sadly had to be removed to make way for a rapidly growing population and expanding central business district. However, there are many pristine examples to behold such as the famous Raffles Hotel, The Fullerton Building (currently The Fullerton Hotel), City Hall, the old Supreme Court now National Gallery, Victorian Memorial Hall and Theatre, National Museum and Central Fire Station. These buildings are mostly neo-classical, reflecting the trend for this style in Britain at the time. Many of the best British colonial buildings in Singapore are contained within the Civic District. Try a self-guided walking tour to experience the range of architectural styles imported and remixed by the British. For more on experiencing Singapore’s British colonial heritage, see the post: Fullerton Hotel vs. Raffles Hotel: Afternoon Tea Face-Off. After the British defeated the Qing army in the First Opium War (1839-1842), and the Treaty of Nanking was signed to maintain peace, China opened five ports to foreign trade including one in Shanghai. The British established a settlement south of the Wusong River and the French were granted a concession some years later. The remnants of these exist in the form of imposing colonial structures along the riverfront known as The Bund extending south into today’s Xuhui and Huangpu Districts. The buildings on The Bund are now occupied by banks, trading houses and foreign consulates. The former French Concession is an upmarket residential area. The former capital of Myanmar and the country’s largest city was known as Rangoon during British occupation between 1852 and 1942. The colonial buildings of Yangon were constructed in the late 19th century. The grid layout of the city was designed by army engineer Lt. Alexander Fraser. During its heyday, colonial Yangon was known as “the garden city of the East” and was comparable to London in infrastructure and public services. After Myanmar regained independence from Britain in 1948, many of the buildings were left to ruin. Some have been restored, but many have been demolished or sit in limbo. In 1996 the Yangon City Development Committee heritage listed almost 200 buildings to prevent further destruction of these important architectural and cultural landmarks in Myanmar history. Colonialists in Southeast Asia stirred the pot of influence, taking the opulent luxuries from home, combining them with local practicalities and exotic materials to produce a unique architectural experience. One I hope lives on with the reverence and loving care of people who are now custodians of these grand old relics.